Our 8 year old daughter, Janina, came in our TV room one afternoon and brought some merienda (afternoon snack). We didn’t ask her to do it. We were watching the television and she came in with that pleasant surprise. That was such a sweet gesture, we thought.But when I went out to the kitchen to take out the empty bowl, I saw the ‘crime scene’. 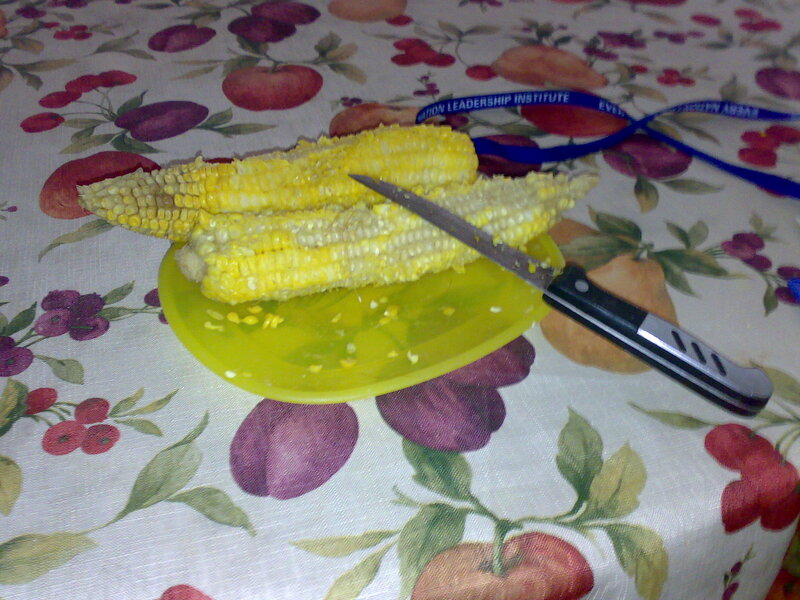 It was corn that she had shaved off the cob using a very sharp knife. To top it off, the whole floor was covered with corn kernels! It was not a pleasant sight. As a parent, my prayer is that I would see beyond the externals. Some parents show a marvelous ability to see failed attempts as praiseworthy efforts. They always encourage. They are adept at neutralizing the effects of a fiasco.